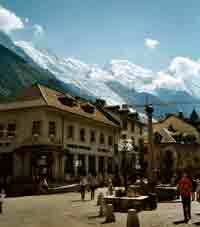 I assembled this tour in the same scrappy way as the Cross-Swiss Walk. 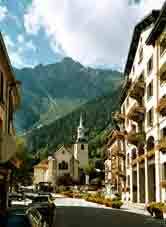 It starts from Chamonix (English link), the Mecca of French climbing & which needs little introduction. The good news is that Kev Reynolds has written a guide (not that I did it quite his way) & you can do the whole tour on Swiss maps. 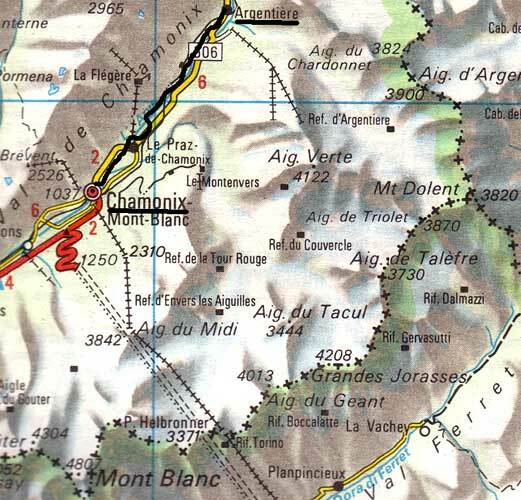 You need LK282 (Martigny), LK283 (Arolla), a bit of LK 273 (Montana) & LK274 (Visp), LK284 Mischabel or the Zermatt assemblage map. These are all LK50 (1:50,000). Using LK25s means carrying a lot more maps & some of the paths are actually better marked on the LK50s (in 2004). Ken has an illustrated lecture about this tour, which he is willing to give to societies. Gruben to Grächen over the Augstbordpass to St. Niklaus & up the easy footpath. That is fifteen days, including coming & going days but I would advise splitting it over more than one trip & biding a wee at some of the beautiful places on the way, especially Arolla & Grächen & finally, at Zermatt. Note that I did some at the end of June & some in September. September is the time to go, because of the problems of conditions underfoot in June, especially when the snow is late going away, as in 2004. However, there are more flowers in June. 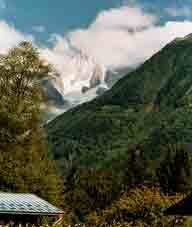 From Chamonix the impending mass of Mont Blanc is most imposing. You cannot see the top but you can see up a couple of vertical miles. I walked along the river Arve but when I got to Praz, where I intended to pick up Kev Reynolds route, this had been obliterated by a huge, immaculately kept golf course, so there is quite a bit of road walking before one can resume the footpath on the other side of the river, which does get one close to Argentière, where I checked into the rather elderly Hotel Savoie, €36.80 for B&B. The landlord spoke English, to my surprise. 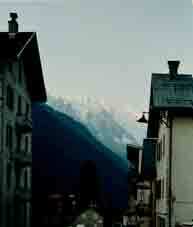 He said if you don't in Argentière, you are dead. Good hot shower upstairs & down the corridor. I had dinner in a restaurant called 'The Office' (! ), having a huge salad for starters & a chicken in lemon & garlic sauce thing for the main course. Lots of English around & nobody else. The cook was English but thankfully, cooked French.